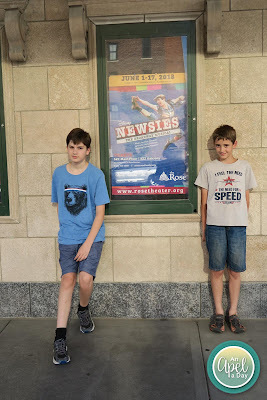 We loved Disney’s Newsies at The Rose Theater last night! It was such a great show for all of us! 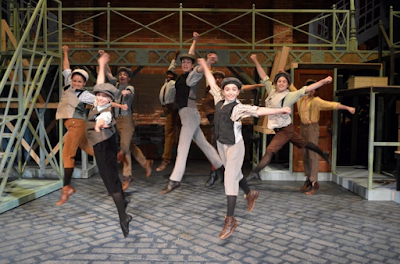 So far we've liked Disney's Newsies, The Christmas Story, Disney's Tarzan and Seedfolks the best! It could be because I have older kids, and boys. 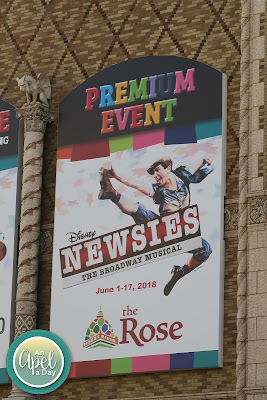 The Rose is a Children's Theater, so they have things for all kid ranges, which is great. This show was best for ages 6 and up. It's 2 hours with one intermission. They serve cookies during intermission. The story is based on the real-life Newsboy Strike of 1899, Newsies is the rousing tale of Jack Kelly, a charismatic and rebellious newsboy who dreams of a life as an artist away from the big city. 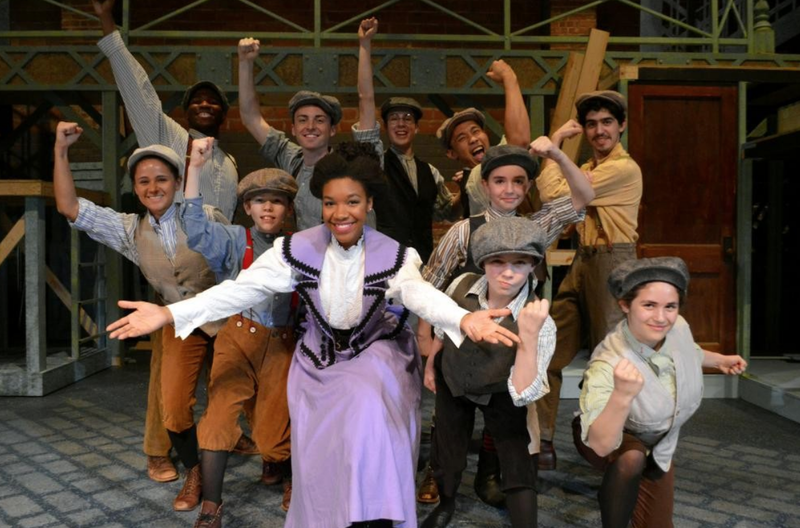 Andrew Wright, a student at Weslyan University, will make his Rose debut in the role. Jack shares his dream of leaving New York one day with his best friend and fellow newsie, Crutchie, played by Jake Parker. They are joined by newsie newcomer Davey and his little brother, Les. Marcel Daly, who was last seen on The Rose stage as Prince Eric in The Little Mermaid, will play Davey with Winston Schneider (formerly seen in Prancer and Peter Pan) playing Les. The story had passion, a moral message, and charm. It was about the underdog getting the credit they deserved. I don't know part of me thinks it should run longer. Again we liked the show! They put in a lot of work! 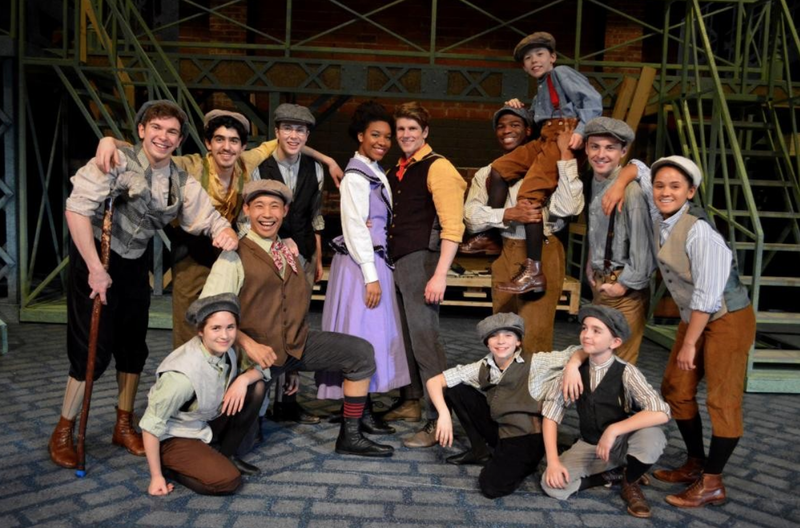 Part of what I loved is that the cast is mostly boys. That is not something you see often. It was great seeing that some girls played guys too. That gave more vocal range. Top Voice: Torisa Walker! The main girl in the photo above. Most Fun to Watch: Fran Adrianto! He was the one in the front of the photo below. He really got into his moves and singing. 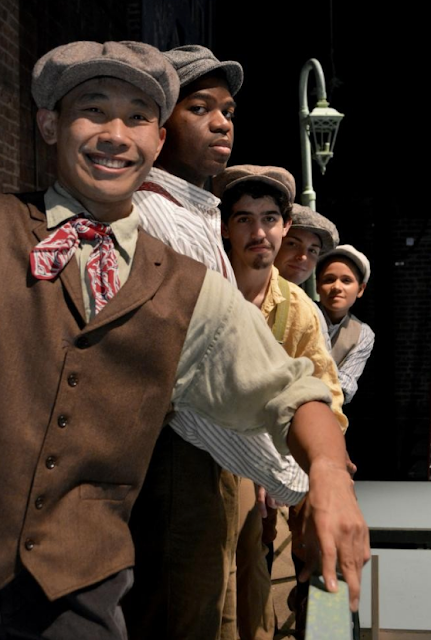 The Rose Theater is a nonprofit organization. Their sponsors include: Children’s Hospital & Medical Center, Nebraska Furniture Mart, Mutual of Omaha, Whitmore Charitable Trust, Nebraska Arts Council, Nebraska Cultural Endowment, and many private donors. I received one or more of the products mentioned above for free from The Rose Theater. Regardless, I only recommend products or services I use personally and believe will be good for my readers. I need to get this from the library for Cort, since he is so into musicals right now. I haven't seen this one yet, but I'd like to some day. It seems like your Rose Theater has a lot of good offerings in the way of live entertainment! I had a boy student offer to play a girl in a play we were reading and though he did it to be funny, it did end up being awesome and getting everyone invested. :) I'm glad you had a good time! I love going to see shows. I've never heard of the Newsies… I'm sure anything to keep the kids occupied during spring break is a win!